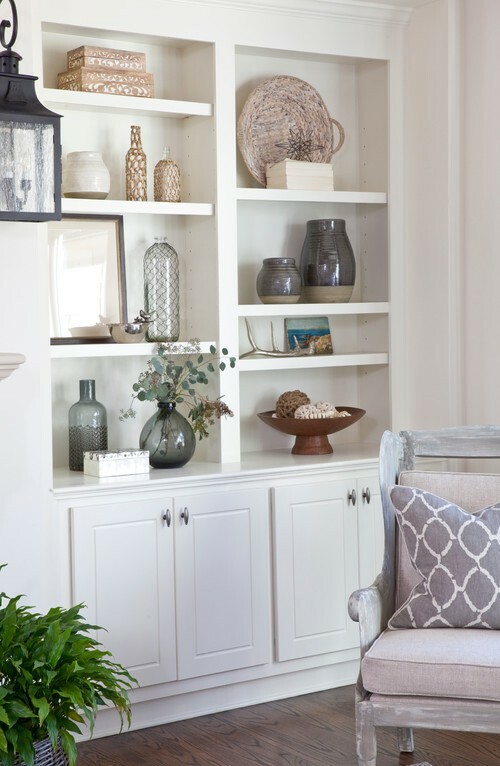 In the first project (above and below), Lisa Gabrielson Design has taken a neutral palette and added lots of interest with texture and pattern. 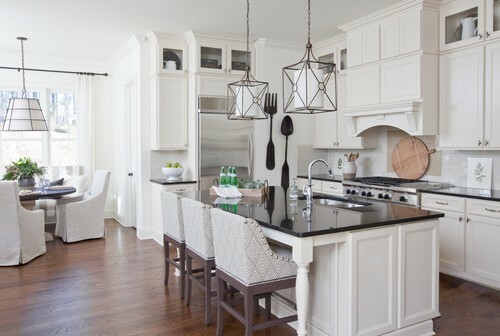 I love the Hamptons style kitchen and the black counter top really pops. I am a person that is not very brave when it comes to using dark tones, and have chosen white for the Papamoa Beach house, however, Sarah has convinced me a black stone tile she found would work wonderfully in the bathrooms alongside the cararra marble in the shower base and nook (more to come on that next week). 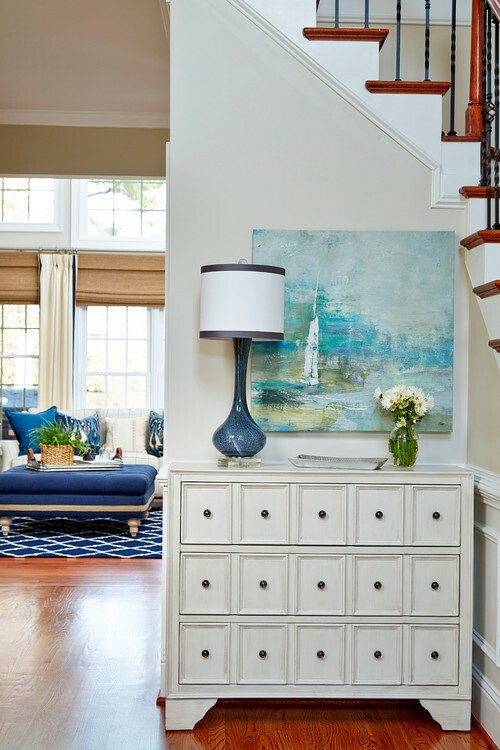 Meanwhile I will leave you to peruse these two lovely homes, to me they both have a slightly coastal feel about them but it shows how blue (my favourite accent colour) can be incorporated into a classic style home. 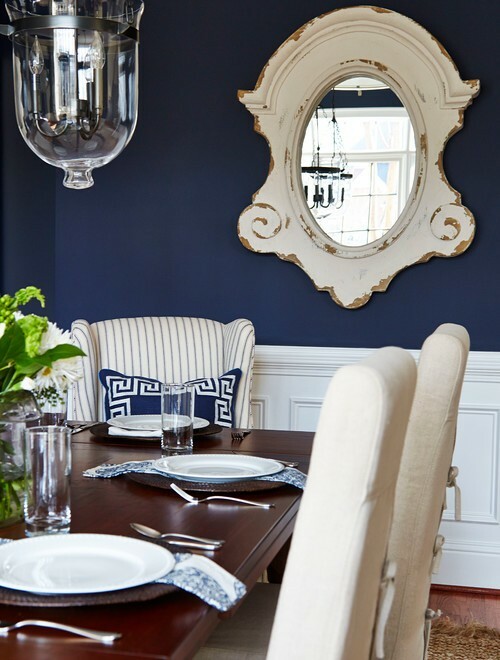 Here Lisa has used navy blue paint above the dado rail, the white panelling below really makes the navy 'pop' and adds adds a more formal look to the dining area. 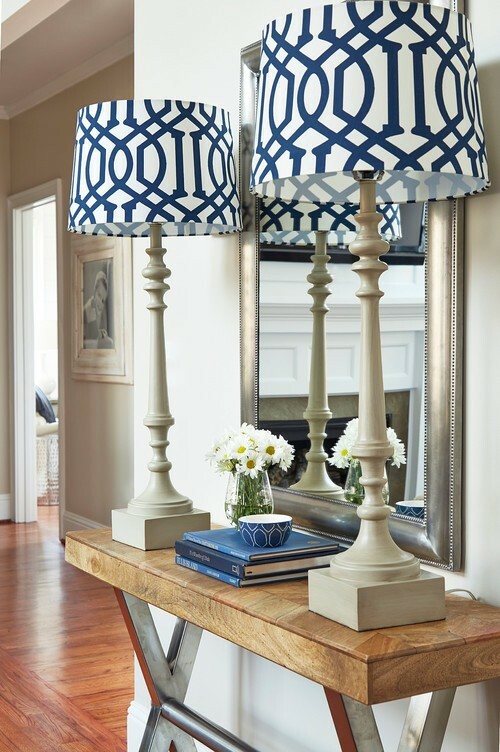 Pops of blue can be seen in the lampshades and some of the furnishing which keeps the theme of blue and white throughout the house. 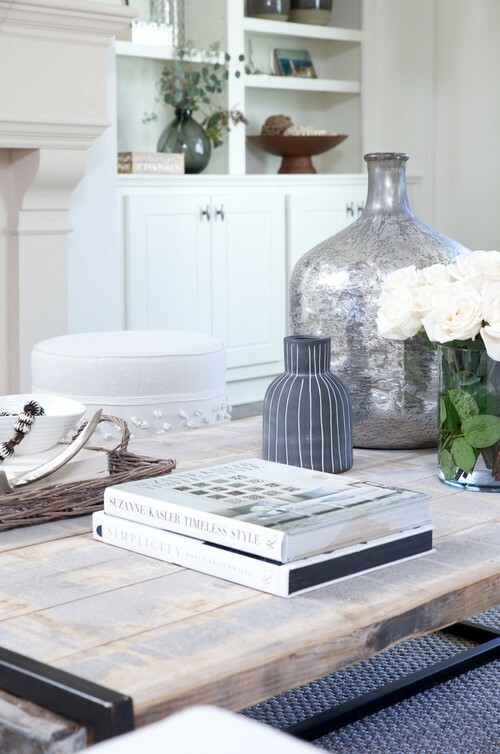 If you look closely at this first project, you will see that Lisa has used lots of texture and pattern to make this very neutral palette look interesting. Texture is the designers favourite tool. 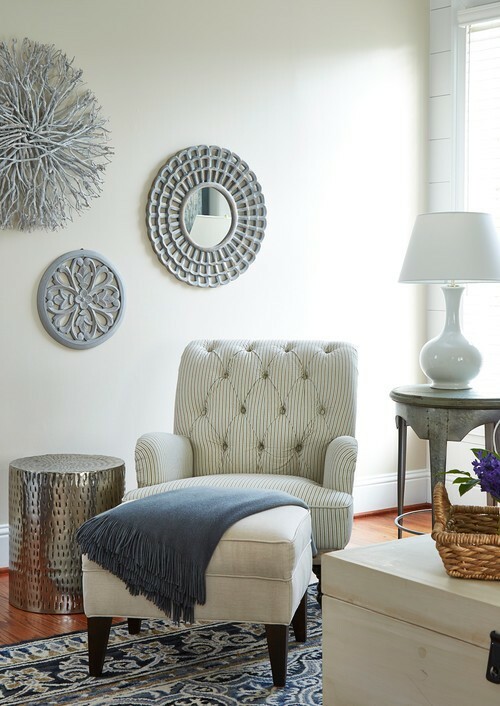 Replicating shapes is also another great way of integrating pieces such as the circular mirrors in image 4 which mimic the round shapes seen in the stools. 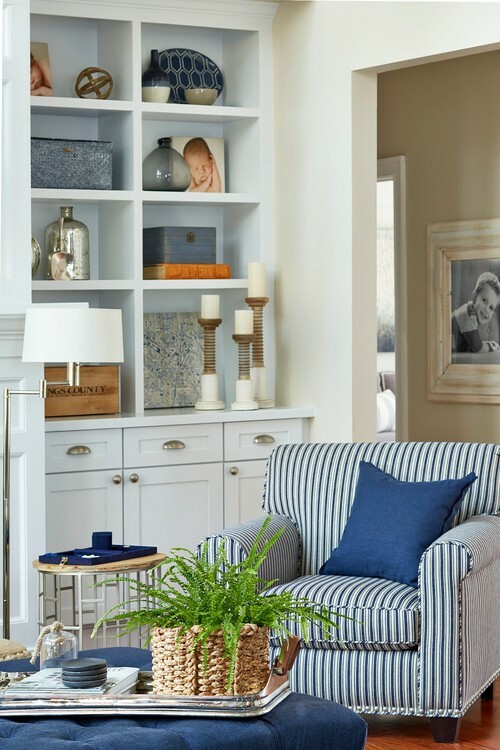 Above: Lot's of lovely texture, the wood seen in the side table and arms of the sofa, stone on the fireplace, iron on the lights, sisal on the floor and some rattan baskets. It is the texture and different patterns within them, that turns a simple beige palette to something extraordinary. 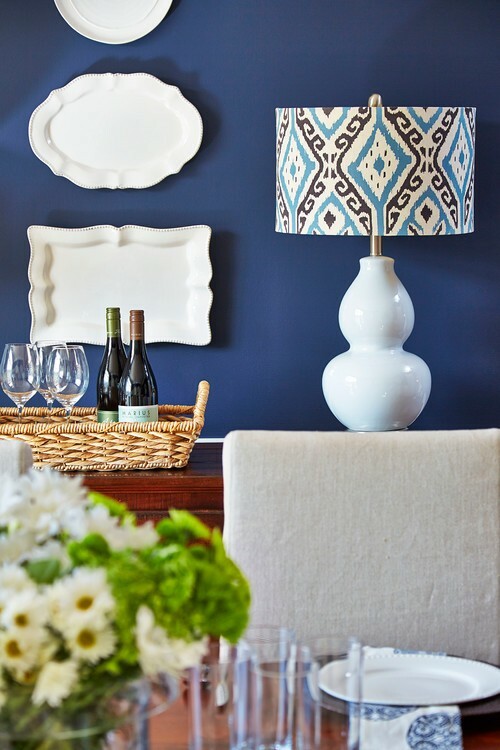 The second project Lisa has used stronger colours turning to shades of blue such as this gorgeous navy wall below. 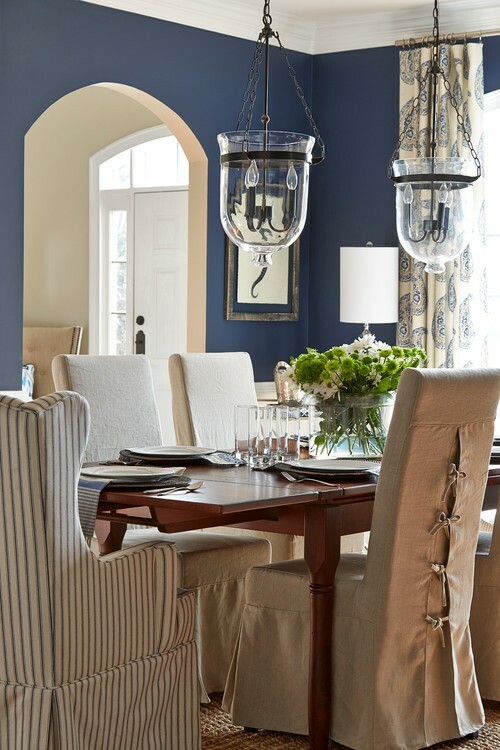 The overall look is still coastal and relaxed, however the blue walls really pop against the white furniture. 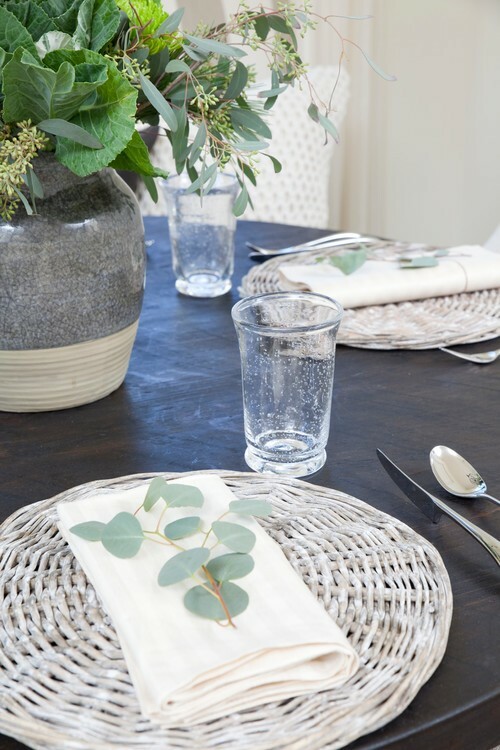 I adore navy and intend to add some to my Mission Bay cottage. Last weekend I went down to Papamoa Beach to see the progress of the build, it is coming along quickly and I will be sharing the progress early next week.